The workshop is free, but space is limited and registration is required: https://pub.cce.cornell.edu/event_registration. 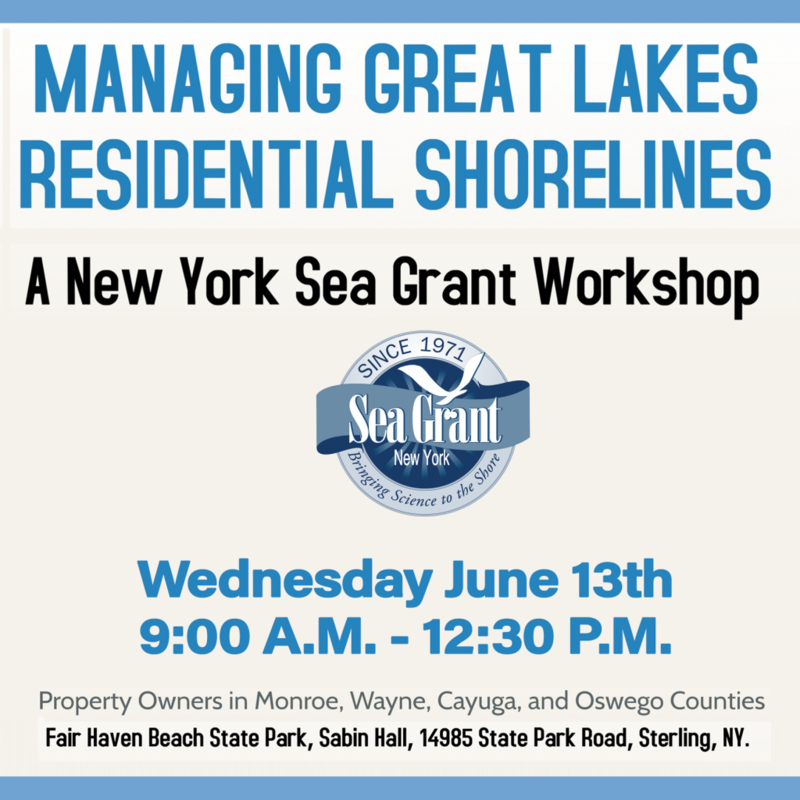 An optional tour of shoreline management techniques at Fair Haven Beach State Park is available after the workshop. For more information, contact Roy Widrig at 315-312-3042, rlw294@cornell.edu.